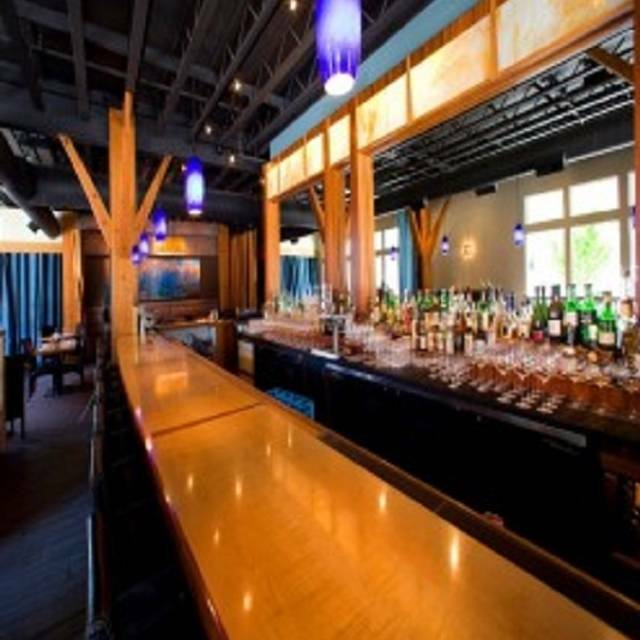 You must make reservations at least 5 minutes in advance of the time at Celilo Restaurant & Bar. We have a curtained off room that seats 8 people. We also are open to closing the restaurant for certain functions. 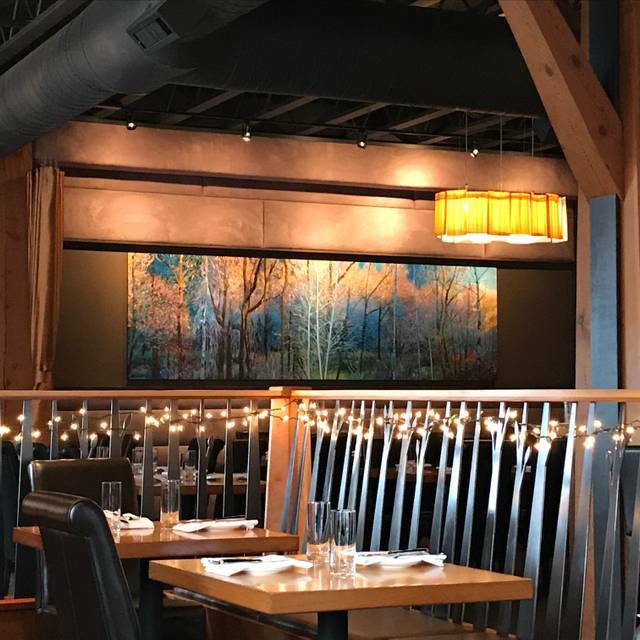 Celilo Restaurant and Bar is located in the heart of downtown Hood River, Oregon and our doors open to the town's center on Oak Street, which is lined with boutiques, galleries, sports shops and hotels. At Celilo, we are committed to a healthy and sustainable future. In all that we do, our focus is on the local community, and that hasn't changed in the 20 years we have been in the restaurant business in Hood River. We source high quality, fresh food grown miles from our doorstep. Our menus are built in response to what is in season and at its peak at any given day in the Gorge. Therefore, they are always changing. Our guests have come to expect something new and surprising at every visit. Our long-held partnerships with local farmers, foragers, ranchers, wine growers...is unmatched and our menus show off the bounty they bring to the Gorge. Dine in casual elegance in a room built by local artisans. Come see for yourself what the Hood River Valley has to offer! House made linguine pasta with WA manila clams, garlic, white wine, chili flake, fresh herbs, extra virgin olive oil and Grana Padano cheese. Traditional risotto with wild foraged nettles and toasted Nella Farm chestnut pesto. Finished with fresh herbs, extra virgin olive oil and Grana Padano cheese. House made pasta with Nicky Farms antelope, Carlton Farm pork shoulder and tomato ragout. Served with Niçoise olive tapenade, feta cheese, fresh herbs and extra virgin olive oil. House made rye flour gnocchi with Nicky Farms rabbit and Carlton Farm braised pork sugo. Finished with shaved pecorino cheese and extra virgin olive oil. House made Carlton Farm pork bratwurst and pork belly with house made purple cabbage choucroute, charred leeks, Prairie Creek Farm browned huckleberry gold potatoes,pickled mustard seed and pork jus. Semolina crusted and fried, smoked Idaho trout cakes served over black beluga lentils, mirepoix vegetables, sautéed ruby chard and dill fromage blanc. Served with NOBO Farm micro greens. Cascade Farm boneless roasted half chicken served over braised freekah with beet, carrot and celery root slaw. Finished with chicken jús. Cascade Natural grilled New York steak and Prairie Creek Farm gold potato, blue cheese and caramelized onion croquettes. Served with wilted Oak Rose Farm Tatsoi, Cascadia Creamery Glacier Blue cheese and red wine sauce. Beautiful restaurant, good service, good food. Everything we had was well prepared and creative. The service was attentive and ambience was cool. My only criticism would be the menu was a bit small. A few more choices would be nice. It certainly busy and a reservation is recommended. A comprehensive menu will likely please most diners and a lengthy wine and cocktail list to reduce any risk of dehydration. Centrally located so parking could be a challenge. We were pleasantly surprised at how delicious everything was at Celilo. We loved how local and seasonal all of the dishes were and the cocktails were delicious too. Next time we visit Hood River, we will definitely visit Celilo again. We were in Hood River with friends and booked dinner at the much-recommended Celilo to kick off the weekend. It was disappointing on every level. The service was inattentive, and the food was uneven -- and overall not the quality we would return for. Fortunately, our amazing experience at Ferment the following night made up for the bad start at Celilo. This was our second visit. 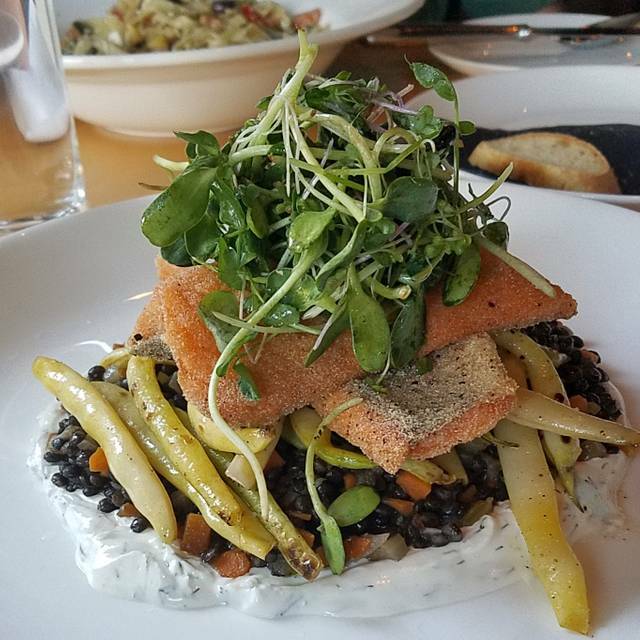 We were here on a road trip to Hood River and found Celilo on Yelp. We are real fans of Celilo. On this recent visit I had fresh mushroom ravioli in a homemade mushroom broth and all I can say is Superb!!! Wait staff is friendly and helpful with suggestions. Wonderful place. We’ve been to Celilo many times and have always loved it. On our last visit both entrees were sub-par. The clam linguine pasta was so over cooked that it had no texture and the Nettle risotto was a one flavor event. The appetizers were great, staff friendly and they always have good cocktails. 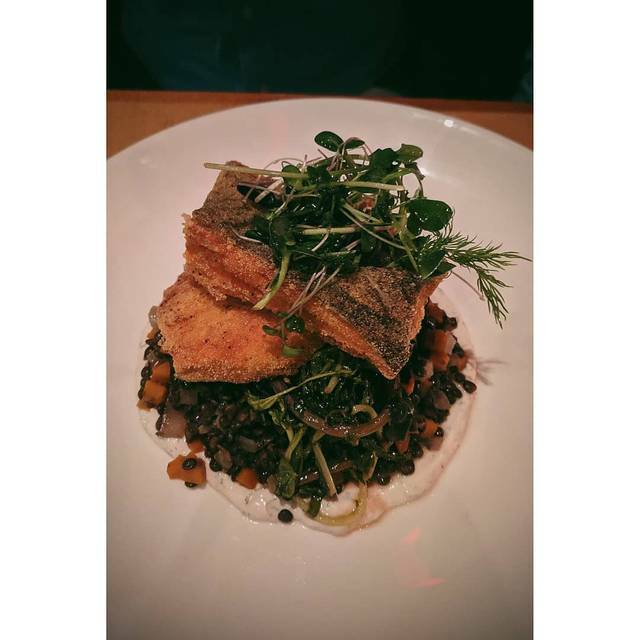 Up to now, we’ve visited Celilo every time we go to Hood River - the food is usually amazing and we will definitely be back. Everything was very good and wait staff was very courteous and friendly, but after we were served our drinks, the waiter staff left us alone for a bit too long. I would definitely go back and I'm sure the experience would be very good to excellent. Celilo never disappoints! It's always on my list to visit when I'm near Hood River. Great food and atmosphere, all the staff was very friendly and attentive. Little gem in Hood River!! Fabulous food, ambiance and service! We will definitely visit again. Wonderful dinner. Creative and interesting menu. Squash appetizer, celery and potato soup, mushroom ravioli and huckleberry cake were all fabulous. The food was excellent and the service was outstanding. My wife and I loved dining here. Celilo is a very special restaurant; the architectural details are wonderful and the food quality superb. Produce and meats are sourced locally and processed right there in the kitchen. You will always be able to experience fresh and local foods served very creatively. The service is always excellent here!! The food is five star every time! And their cocktail list was really fun! The noise level was high the last night we were there because there were three large parties, which just made it feel more casual and fun!! 🥳 but normally it's a very comfortable space. The celery root soup and the chicken salad sandwich were both delicious ! Great food, good service. Showed up 30 minutes early for our reservation and they got us right in. Excellent, we had an absolutely amazing dining experience. Wait staff was wonderful, food was amazing and the classic old fashioned was the best I've ever had. Highly recommend! Delightful service and truly delicious fresh local food. Melt in your mouth pork. Our experience at Celilo was great. We went in for my husband's birthday, and our waiter was really great. She was subdued, knowledgeable, and came by just enough to make sure our meal was good without being overbearing or overselling us. That is the benefit of servers with years of experience (read, over 30- possibly even over 40). They are focused, friendly, and can read their clientele quite well. Too young, and (with some exceptions) they are not interested in really providing a great experience. Cudos to Celilo for having her on staff. are from Portland where we have awesome food on every corner! The table behind us was getting pretty loud but more towards the end of our meal. I know it's hard to ask people to keep it down! Just hard to talk or relax over the noise. Celilo is the place to go when I’m not cooking at home. Chef Ben chooses all organic ingredients and prepares a wide variety of stellar dishes. Everyone is super-welcoming. All the servers are highly professional, prompt, and very kind. 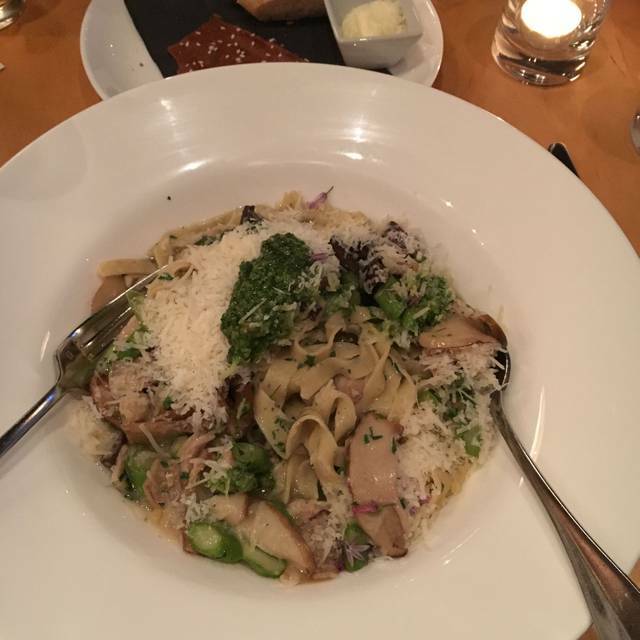 I have eaten many times at Celilo and the food is always good. The dinner we had the other night was superb! I have never been disappointed with their food and service. They are innovative with different kinds of appetizers, main dishes, etc. I am always ready for another meal at Celilo. The octopus appetizer was wonderful as were our main dishes of mushroom/goat cheese ravioli and seafood risotto. My mouth is watering as I type! The table we were seated at was very cramped & we could barely move the entire time. The server was not attentive. Food took a long time (around 40 min) and it was not cooked right. Pasta was sour tasting & awful. Steak was cooked wrong. The only good thing was the bread. All & all it was overpriced food that tasted blah or not good. We’ve been here before but this experience will keep us from returning. I was on business and dining alone. There was no hurry and my server understood that I was taking my time. the food was excellent and the wine was very good. The wine list was extensive but also featured several local wineries. The Pots de Creme was the best I have had. If there appear to be no reservations at the time you would like, call the restaurant. I had to eat later than I wanted due to table availability, but when I arrive, the restaurant was only about 30% full. I could have eaten earlier but they reserved many tables for walk ins. Excellent food. Lots of choices make me want to return to try more options. The mussel appetizers are the most plump, tender and tasty I have had anywhere. Small, but excellent wine selection. Great entrees. Everything about this place was great!!! The service was exceptional and the food and drinks were so delicious!! NYE was our 3rd time at Celilo and we had a wonderful time! We come every year from Portland for NYE and the food and service are always excellent. I think our servers name was Lindsey and that was our second time having her and she is absolutely amazing. I highly recommend Celilo if you're going to be in Hood River! Excellent service, brought a nice bottle of wine with us and corkage fee was typical. Food was amazing and love the atmosphere in downtown hood river. Took a while to get service, but once we did, it was great. We were there for our anniversary. Didn’t like being seated in an open 2 top table when there were other intimate tables avail. Entrees were good. Wished they had more options for appetizers. Service was adequate but there were times when it was lacking. Overall a good dining experience and would probably visit again. Impressed all around! Drinks and food were delicious and despite having a toddler with us everyone was super friendly and made our experience wonderful! We will definitely be going back. Had dinner there for the first time. Dinner was not good. Expensive, which is fine and I am willing to pay, but not for what we got. Carrot soup appetizer was good other than that nothing else was good or worth it. Go somewhere else!! Our favorite restaurant in the Gorge. Great wine list! Celio is a wonderful place for happy hour or a regular meal. The attention to detail is evident in every presentation. Always look forward to eating there when we visit Hood River. We went here for lunch before the Mt Hood Railroad. The service was incredibly slow considering the place was empty. Food was at the wrong temperatures - some too hot, some cold. Veggie burger mediocre. Squash soup was good, but pumpkin seeds on top too chewy. No kids menu, have to modify some of the adult items. Dessert took 10 minutes for melted cups of ice cream. This is the second year in a row we’ve chosen Celilo as a special Christmas dinner with friends and family. The food is excellent though not a great number of options. The service is outstanding! Food: a) main courses were real good, b) the appetizer salads were OK.
Service was spot on. Food was good. The salads and soups we ordered were fine-nothing wrong with them but lacked seasoning/dressing/flavor. 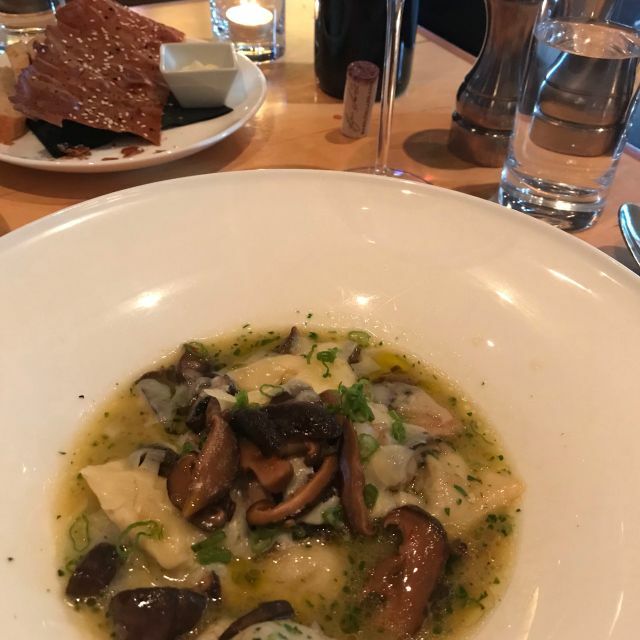 The special-mushroom ravioli was outstanding. Our server was top notch and recommended a very unique and delicious local wine. I’d say the value of the bottle list is great with so many good selections at a less than standard restaurant markup. Overall we had a great meal but would opt for more interesting starters next time. I would highly recommend Celilo if you are in the area and want a more elevated dining experience.